Clarins Spring collection & SOS Primers review! When Clarins launch their spring products every year, my heart is happy because I know brighter days are just around the corner! They always do the most beautiful packaging and I know that's not what's important, but I'm a sucker for something that looks beautiful on my desk. I know. I'm a disaster darling. First up, Clarins have six SOS Primers, promising to colour correct your skin, giving you a blank canvas to work from. I speak for myself when I say that different parts of my face have different issues that one primer won't sort, so I've been taking the multi-masking concept and have been multi priming with these. Each one has a different function - the peach tube blurs imperfections, lilac visibly brightens sallow skin, the white tube boosts radiance, pink minimizes signs of fatigue, the green one diminishes redness and the coral tube visibly minimizes dark spots. I've been testing out the ones that suit my skin and so far I'm loving them. I don't wear them all on the same day FYI! They set quickly on my skin and my makeup goes on beautifully over them. They're €31 and are on counters now. Now Clarins do some gorgeous eyeshadow palettes and their spring offering is no different. It's called "Lovely Rose" and despite its pinkiness, it's actually really wearable! 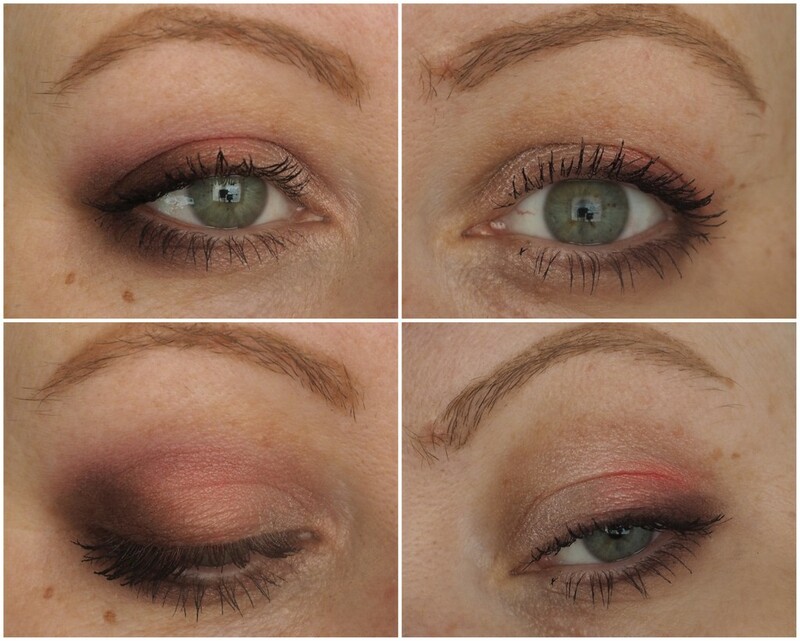 Now I've said this before, but there's a lot to be said for eyeshadows with medium pigment. Not everyone is blessed with the powers of blending and palettes like this one are really user friendly for those who like a softer approach when it comes to makeup. And it's why my Mam puts her eye on every single palette that arrives from Clarins! For her, being able to build up the coverage is much better than having something that she applies too much of. And as someone who can be heavy handed with her makeup, I genuinely don't mind something with a bit less pigment. I decided to try and follow the two tutorials on the card that comes with the palette, just to show you it in action the way Clarins suggested. And I think they turned out really well! It's such a bright, fresh palette and while it does take a bit of work to build up the colour, the shadows themselves blend beautifully. It's €43 and is on counters now. On to my favourite things! I love love love the Clarins Instant Light Lip Balms and each season, I hope they bring out new shades! They've two in the spring collection, Plum and Hot Pink and if you're a fan of sheer glossy lips with a hint of colour, you're going to love these. I've Hot Pink on in the photo below and it looks more peachy on me which makes me love it even more. It's spring time in lip balm form! Each of these lip balms are moisturising and leave my lips looking and feeling all juicy. They're €20 and I'm such a collector of them so Clarins, do me a favour and keep bringing new ones out each season ok thanks bye. Plum, pictured below, is one of those shades that I can throw on with any look because it's quite subdued, won't compete with my eyeshadow and is like a my lips but better shade. I love that Clarins have a small but perfectly curated spring collection this year. The primers are fantastic and I'll showcase the ones I've been using in some upcoming makeup tutorials over on YouTube. Did anything take your fancy here? Do tell! 3 facial mists I'm loving right now! New lip products from Charlotte Tilbury! Stila Spring 2018 photos & swatches!